Ah! The Groundhog saw his shadow…womp womp. This winter is going to be the death of me! O, and it is another snow day here in Jersey! But on a “sunnier note”, I ended up having a pretty stellar Friday night. I found out that one of the schools I had applied to early action finally put up their application decisions. So I went on and…I WAS ACCEPTED! I was so happy 🙂 It feels to good to know when a school wants you and that school is one of your more favorite ones 🙂 Then Saturday morning started with my favorite breakfast…PSPcakes! 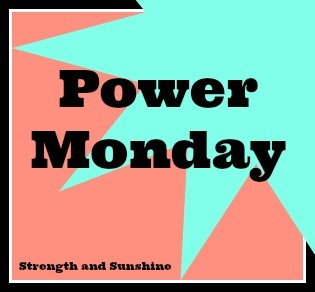 So, Happy Power Monday by the way! I haven’t shared an arm workout with you guys in a while. This is one I have been doing the last 2 weeks and absolutely love. It was inspired by this one, but of course I like to make it my own. + Complete 3 rounds, using weights that are appropriate for you level. I use dumbbells for all the moves except I use a barbell for the bent-over rows. + Unfamiliar Exercise Ques: Chest Flies, Shoulder Rotators, Bent-Over Row, Tricep Overhead Extension, Bent Arm Lateral Raise. + Note, I am not a fitness professional, I just like to share my workouts with you all. Remember to honor your body and take breaks when needed! But wait! This Power Monday is not over before I share another old recipe that has yet been blogged…until now. I am not big on savory breakfasts. I need my cocoa powder, my cinnamon, some coconut can’t hurt. But I wanted to try something out of the norm for me and created my first savory breakfast using the one and only Quinoa Flakes! Plus it includes some greens! Yay for a veggie filled breakfast, right?! Just another check mark on my mission to create as many different variations of quinoa flakes. In a microwave safe bowl combine all dry ingredients, mix, then add the zucchini, spinach, and water. Mix again. Place in the microwave and cook on high for about 90 seconds to 2 minutes. Remove carefully (the bowl will be hot!) and enjoy! You know what you should also add to this? Ketchup! + Do you have window AC units or do you have central air? + Sweet or savory breakfast? Hi Rebecca! Your quinoa recipe looks delicious and sounds healthy. I need to try cooking with quinoa. Yum! This Savory Veggie Quinoa Flakes recipe is a delightful way to shake things up at breakfast. I haven’t had quinoa flakes before. Sounds great! never tried these flakes before but this looks really yum! Sounds super delicious. I’ve only made quinoa flakes sweet for breakfast, this would make a nice Sunday brunch dish. I think I may try adding oil-free sundried tomatoes too. I need to try quinoa flakes! Know I would love them, especially in a veggie-packed bowl like this one – yum! They are one of my favorite foods!! Please get some!! I’ve never tried quinoa flakes before. This sounds like a yummy way to serve them! You must! They are the BEST! I’m definitely more of a sweet breakfast person too, but these sound really yummy. Any way to get more nutrition and energy in the morning works for me! Haha, I am so non-savory! Sweet all the way for me! Thanks for the savory quinoa flakes bowl recipe! I would love to try it out since I have a box of them at the moment. Congratulations, we live in Louisiana with long hot humid summers, and the central air went out this past summer. Now we have two window units that really don’t make the grade to cool off two very warm blooded teen boys. I love the quinoa recipe and just recently bought some natural yeast, yeah now I have a recipe for them. Pinned to my healthy eating board, thanks for sharing on Real Food Fridays, join us again tonight at 7 central for a new link up with a giveaway, you will be featured. Haha I would gladly move to Louisiana right now and I would never complain about inadequate AC! 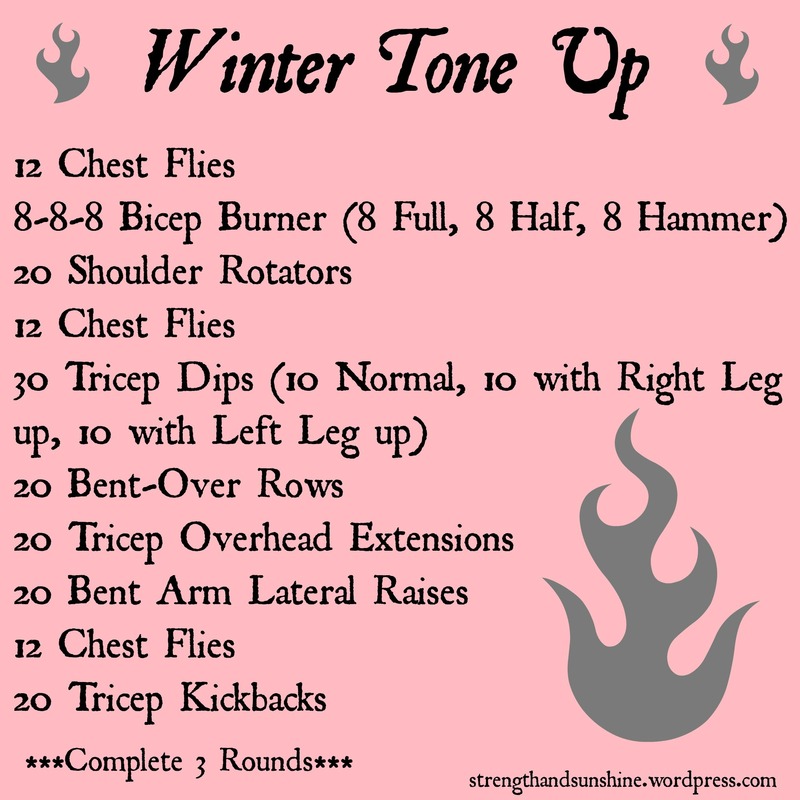 Pinning this workout! I never know what to do, so this would be perfect because I have a strapless bridesmaid dress to wear in a couple months and I want to work on my arms! The Zucchini Quinoa Flakes sound great too! I have yet to try quinoa because of the price, but I want to soon! Visiting from SITS! Great I hope you can try it out! I can’t wait to try out the arm workout, and that savory breakfast? Sounds delicious! Congrats on your scholarship, that’s awesome! We have window AC units, although I am seriously considering checking out the central air cost conversion! I’d much rather a savory breakfast over a sweet one. Ah, I am the total opposite on the breakfast debate! Yay, congrats on the acceptance letter!!!!!! As to your question on AC or Central Air, we have central air now for the past 4 years and it was worth every single penny!! CONGRATS on your acceptance! I accept that arm workout onto my Pinterest board for Workouts 😉 and even may do it today! Congrats on being accepted to your college of choice and for the merit scholarship award!!! That’s so amazing! Love this arm workout! I always tend to workout my lower body and neglect my upper body, so this is perfect! I like working my lower body more too, but upper body can be fun since there are so many moves and different aspects to work!